The Patriots sat out this years’ trade deadline, but at the end of the day, it’s usually the guy who flies under the radar that makes a significant impact in the long haul. Perhaps the Patriots found that guy on Monday morning. 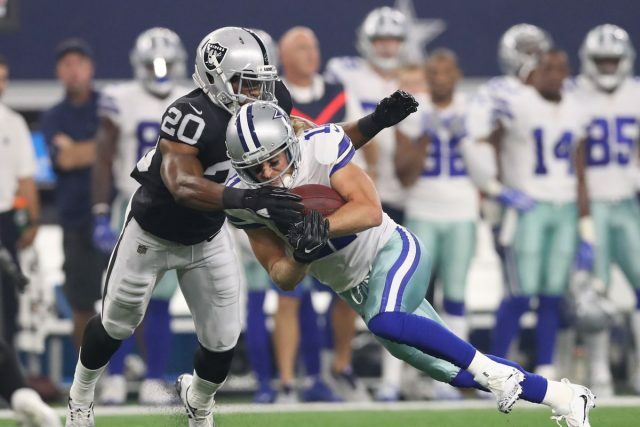 While many were still rolling out of bed, the Patriots were adding depth to their secondary with the signing the 2017 second-round pick of the Oakland Raiders, Obi Melifonwu, according to his agent. Former #Raiders second round pick S Obi Melifonwu has agreed to terms with the #Patriots, per his agent. Melifonwu’s had a tough time getting his feet wet at the NFL level. Appearing in just five games—one start—in his two-year career, it was only a matter of time before Oakland tried to move him. But according to his draft combine analysis, he has great hand-eye coordination and is able to undercut routes at the last second to play the ball. Plus, at six-foot-three and 224 pounds, he has the frame of an elite safety—but he is said to lack desired instincts, which is a big reason why he fell to the second round. Don’t expect Melifonwu to be out there against the Titans in Week 10—but if he is able to show a desire to learn the system, Belichick will find a role for the 24-year-old in some capacity.